1.9 How To Apply For RFCL Junior Engineering Assistant Recruitment 2019? RFCL Junior Engineering Assistant Recruitment 2019: Candidates can check the complete details of RFCL Junior Engineering Assistant Recruitment 2019 from this article. The higher authorities of the Ramagundam Fertilizers and Chemicals Limited (RFCL) had released the notification to fill the 53 Junior Engineering Assistant Grade – III posts. So, applicants who are interested to get the job, they can read this page for Ramagundam Fertilizers and Chemicals Limited Notification 2019. Applicants have to apply for nationalfertilizers.com Vacancies 2019 from 15th February 2019 to 14th March 2019. And here in the below sections, candidates can get more info of RFCL Junior Engineering Assistant Recruitment 2019 such as educational qualifications, age limit, selection process, important dates, salary details, important links, others. In this below section, candidates can get more info of the post-wise vacancies. Candidates who are ready to apply for this post, those members have to see the information of educational qualifications. You can also check the official website of Ramagundam Fertilizers and Chemicals Limited (RFCL) that is www.nationalfertilizers.com to know the more information about educational qualifications for RFCL Junior Engineering Assistant Recruitment 2019. 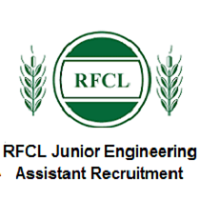 Applicants who are eligible for these posts, they can see the RFCL Junior Engineering Assistant Recruitment 2019 Notification for the information of the entire selection process for vacancies. Applicants who had performed well in the entire section, they will be part of the Ramagundam Fertilizers and Chemicals Limited (RFCL) Junior Engineering Assistant. All selected candidates can get the pay scale for RFCL Junior Engineering Assistant post is Rs.9000- 16400/-. applicable) are required to be paid by General and OBC category candidates at the time of submission of online application form. Candidates can opt to pay either through internet banking account or credit/debit card. No other mode of payment of application fee would be accepted. Application fee once paid will not be refunded under any circumstances. Candidates are, therefore, advised to verify their eligibility before payment of application fee. SC/ST/PWD/ExSM category candidates are not required to pay any application fee. First of all, candidates have to visit the official website of Ramagundam Fertilizers and Chemicals Limited (RFCL) that is www.nationalfertilizers.com. In that go through the careers section which is the right top of the home page. In the careers section, you can see the recruitment feature which is bottom of that page. Again, you can search the RFCL Junior Engineering Assistant Recruitment 2019 Notification link. Then click on it, you can see the advertisement of RFCL Junior Engineering Assistant Recruitment 2019. Read the notification carefully, if you are eligible you can fill the application form correctly. Take two or more copies of RFCL Junior Engineering Assistant Recruitment 2019 application form for further reference. All the interested candidates searching for RFCL Junior Engineering Assistant Recruitment 2019 in India, they can check this page for all latest recruitment 2019 updates. Find more information and updates about RFCL Junior Engineering Assistant Recruitment 2019, exam results, dates, schedules, syllabus, previous papers, and others. Applicants can bookmark our site that is Sarkari Recruitment by clicking Ctrl+D for more updates on RFCL Junior Engineering Assistant Recruitment 2019 and they can also share this information along with their friends. If any of the applicants have doubts, they can comment us in the below section. Thank you.